2d 7/03/2019 ROCKHAMPTON: Margin 4.9 Distance 1500m SOT G RST BM75 Race Hhh Partners (BM75) Prize $19,000 API 1.54 Race Time 1:29.28 Time Adj +2.19 Sec Time 0:34.41 Sec Time Adj +0.91 Jockey Justin P Stanley Weight 60.5 CD 60.5 BP 4 Odds 9-2 - 6-1 Trainer Olivia Cairns OHR: 69 Ongoing Winners [o] 02-02-06 Rail Out 6m Entire Course. Track Direction Clockwise Stewards Vetted - no abnormalities. Winner Don't We Love It (59) Second Mishnah (58) Third Mr Attitude (58) Inrunning Position second on settling, second at 800m, fifth on turn Tempo Suited front runners Video Comment Jumped on terms, settled 2nd of 5 2WNC 2.25L, 2nd 2WNC 1L at the turn. Vet - No abnormalities. 6m22d 1/02/2019 MACKAY: Margin 13.7 Distance 1100m SOT G RST BM69 Race Become A Member (BM69) Prize $19,000 Race Time 1:03.55 Time Adj +1.45 Sec Time 0:34.33 Sec Time Adj +0.99 Jockey Christopher Mc Iver Weight 57.0 CD 57.0 BP 9 Odds 40-1 - 66-1 Trainer Rebecca Binder OHR: 65 Ongoing Winners [o] 03-07-14 Rail True Entire Course. (Pent: 5.7). Track Direction Clockwise Gear Change Ear Muffs FIRST TIME, Ear Muffs (Pre-Race Only) OFF FIRST TIME Stewards Blundered at the start. 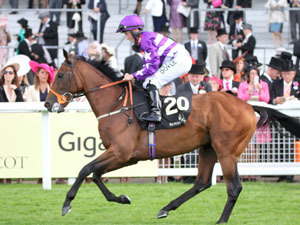 Leaving the 1000m became awkward in its action, making contact with the running rail and lost ground. Winner Jack Lancaster (57) Second The Cheetah (57) Third Final Hope (57) Inrunning Position tenth on settling, tenth at 800m, tenth on turn Tempo Suited front runners Video Comment Blundered at the start, became awkward in its action, making contact with the running rail and lost ground near the 1000m, settled 2nd last on the inside 6+L, 2nd last on the inside 6+L at the turn, always rearwards. 14d 14/07/2018 MACKAY: Margin 5.5 Distance 1560m SOT G RST BM65 Race Natural Body & Beauty (BM65) Prize $25,000 API 0.36 Race Time 1:34.54 Time Adj +2.34 Sec Time 0:36.21 Sec Time Adj +1.30 Jockey Andrew Spinks Weight 60.5 CD 58.5 BP 11 Odds 14-1 11-1 - 12-1 Trainer Rebecca Binder OHR: 65 Ongoing Winners [o] 03-01-14 Rail True. (Pent: 4.49). Track Direction Clockwise Stewards Raced wide in the early and middle stages of the race. Winner Under The Weather (62) Second Mr Boxvale (56.5) Third Casta (59.5) Inrunning Position fifth on settling, fifth at 1200m, third at 800m, fourth on turn Tempo No bias Video Comment Jumped on terms, 5th on settling, raced wide in the early and middle stages of the race, 3rd at 800m, 4th 3WNC 3L on the turn. Ground home. 16d 28/02/2019 ROCKHAMPTON: Margin 1.3 Distance 1500m SOT G RST CL2 Race City Printing Works Hcp (C2) Prize $16,500 API 0.75 Race Time 1:29.88 Time Adj +2.79 Sec Time 0:34.21 Sec Time Adj +0.71 Jockey David Hayse Weight 55.0 CD 55.0 BP 2 Odds 9-4 - 3-1 Trainer Krystle Johnston OHR: 53 Ongoing Winners [o] 02-03-07 Rail Out 6m Entire Course. Track Direction Clockwise Stewards Over-raced in the early stages. Winner Tang Dynasty (58) Third Ruffy Road (55) Inrunning Position sixth on settling, seventh at 800m, sixth on turn Tempo Suited front runners Video Comment Jumped on terms, overraced in the early stages, settled 2nd last of 7 on the inside 4L, joint last 2WWC 4L at the turn. 11d 12/02/2019 MACKAY: Margin 0.2 Distance 1300m SOT G RST BM60 Race Tab (BM60) Prize $19,000 API 1.4 Race Time 1:18.43 Time Adj +3.63 Sec Time 0:35.66 Sec Time Adj +1.99 Jockey David Hayse Weight 54.0 CD 54.0 BP 7 Odds 5-1 - 7-1 Trainer Krystle Johnston OHR: 53 Ongoing Winners [o] 00-04-14 Rail Out 4m Entire. (Pent: 4.8). Track Direction Clockwise Winner Escaday (60.5) Second Strong Will (52.5) Inrunning Position seventh on settling, seventh at 800m, seventh on turn Tempo Suited front runners Video Comment Jumped fairly, settled 2nd last of 8 3WWC 4L, 2nd last 2WWC 5L at the turn. 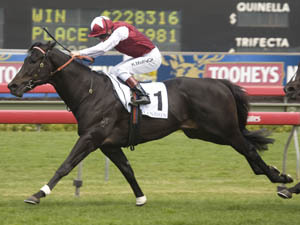 11m18d 23/02/2019 MACKAY: Margin 5.8 Distance 1200m SOT G RST BM69 Race Caneland Mackay Turf Girl-Bm69 Prize $19,000 API 0.48 Race Time 1:11.37 Time Adj +2.17 Sec Time 0:35.16 Sec Time Adj +1.64 Jockey Wanderson D'avila Weight 54.0 CD 54.0 BP 6 Odds 10-1 14-1 - 12-1 Trainer Olivia Cairns OHR: 58 Ongoing Winners [o] 01-06-13 Rail Out 4m Entire Course. (Pent: 4.7). Track Direction Clockwise Winner Jay Jay (55.5) Second Le Chiffre (57) Third Lamerican (58) Inrunning Position fifth on settling, fifth at 800m, sixth on turn Tempo Suited front runners Video Comment Jumped on terms, settled 5th of 8 2WWC 3L, 6th 5WNC 3.25L at the turn. 20d 12/03/2018 MACKAY: Margin 4.3 Distance 1560m SOT G RST OPEN Race Payne Print Hcp Prize $14,000 Race Time 1:34.22 Time Adj +1.42 Sec Time 0:34.92 Sec Time Adj +0.00 Jockey Wanderson D'avila Weight 54.0 CD 54.0 BP 4 Odds 13-2 7-1 - 13-2 Trainer Olivia Cairns OHR: 59 Ongoing Winners [o] 02-02-07 Rail True Entire Course. (Pent: 4.95). Track Direction Clockwise Winner Bradman (55) Second Pulsar (54) Third Dodge The Grey (54) Inrunning Position second on settling, second at 1200m, second at 800m, second on turn Tempo Suited front runners Video Comment Jumped on terms, 2nd on settling, held position to the turn 3WNC 1L, under pressure approaching turn, dropped out. 17d 1/02/2019 MACKAY: Margin 1.3 Distance 1560m SOT S RST BM65 Race Canelands Central (BM65) Prize $19,000 Race Time 1:34.56 Time Adj -0.74 Sec Time 0:36.92 Sec Time Adj +1.64 Jockey Ms C Jokic Weight 54.0 CD 54.0 BP 6 Odds 8-1 - 9-1 Trainer Joshua Manzelmann OHR: 59 Ongoing Winners [o] 00-04-07 Rail True Entire Course. (Pent: 5.7). Track Direction Clockwise Stewards Slow to begin. 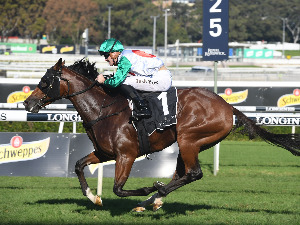 Second Mustarrid (61.5) Third Effectav (55) Inrunning Position sixth on settling, sixth at 1200m, sixth at 800m, fourth on turn Tempo Suited back makers Video Comment Slow to begin, settled last of 7 on the inside 5.25L, last at 1200m, last at 800m, 4th 3WNC 1.75L at the turn, took lead at the 150m and raced away for a nice win. 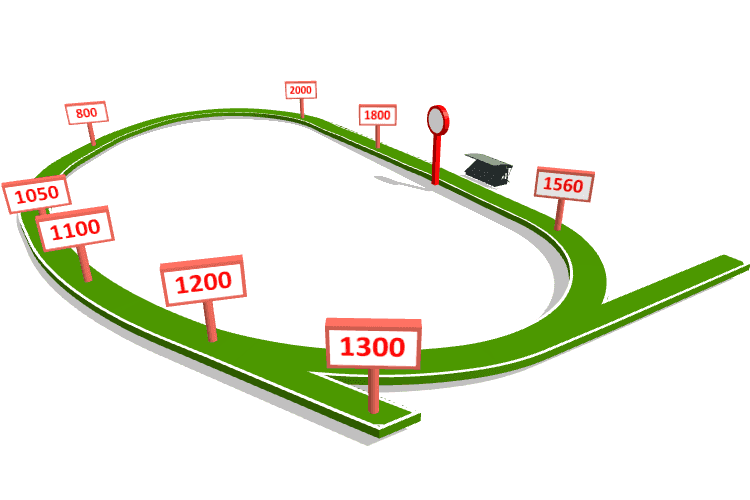 24d 15/01/2019 MACKAY: Margin 3.7 Distance 1560m SOT G RST BM65 Race Book Event Centre (BM65) Prize $16,500 Race Time 1:33.88 Time Adj +1.95 Sec Time 0:35.75 Sec Time Adj +1.77 Jockey Ms C Jokic Weight 55.5 CD 55.5 BP 5 Odds 15-2 10-1 - 9-1 Trainer Joshua Manzelmann OHR: 55 Ongoing Winners [o] 01-03-09 Rail True Entire Course. (Pent: 4.8). Track Direction Clockwise Winner Shiranda (57.5) Second Effectav (56) Third Sirius Witness (58) Inrunning Position seventh on settling, seventh at 1200m, seventh at 800m, fifth on turn Tempo No bias Video Comment Jumped fairly then went back, settled last of 7 on the inside 5L, last at 800m, 5th 2WWC 1.5L at the turn, boxed in all the way.